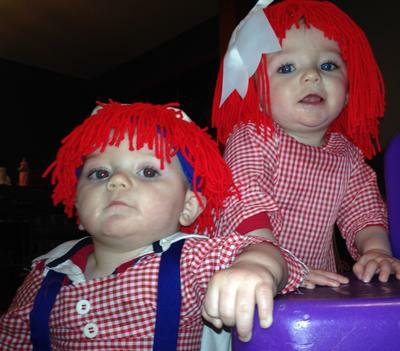 The girls first Halloween they were able to dress up!! 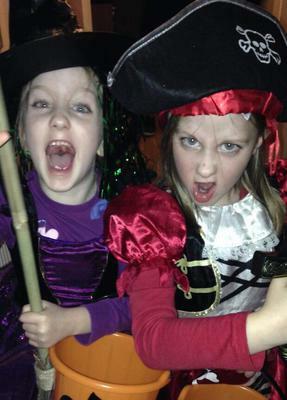 Last year we were too tiny, but salt n pepper are big girls now ready to shake things up!! 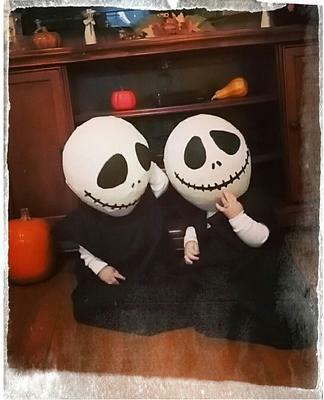 Who who is ready for Halloween? 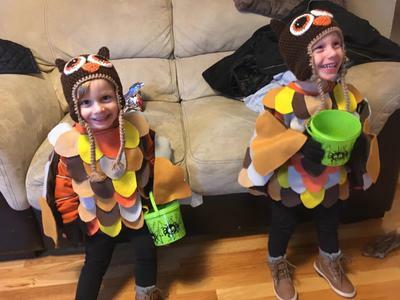 Boys are very excited to show off their homemade owl costumes! 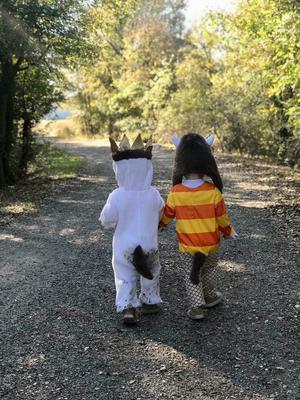 Cutest owls in the forest! 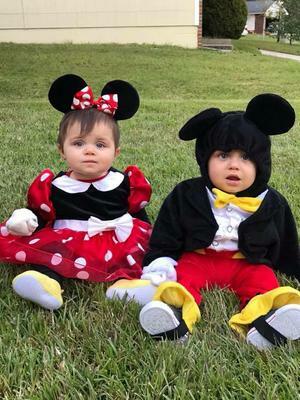 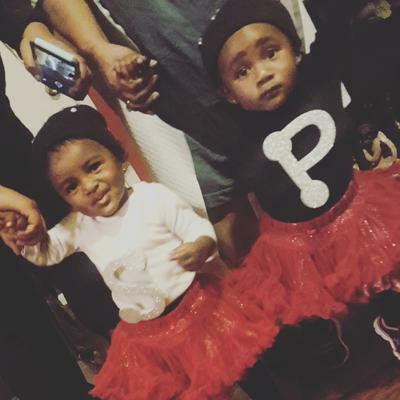 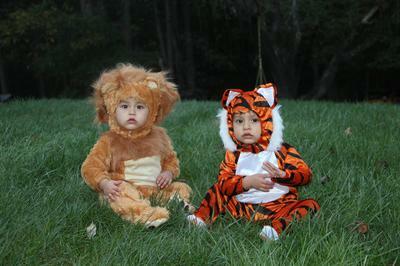 My twins boys first real Halloween. 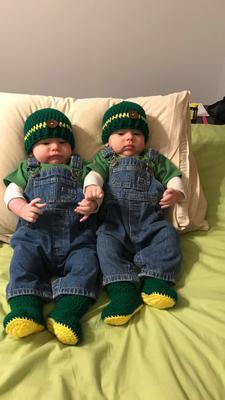 My 4 month old identical twin boys, dressed up as John Deere farmers! 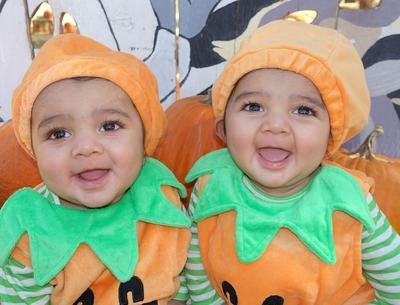 My little Pumpkins loved their first trip to the pumpkin patch!